President Trump saw support drop precipitously this week after he botched his response to the events last weekend in Charlottesville, Virginia, where a white supremacist rally called “Unite the Right” turned violent. And then he made things worse with a follow-up press conference on Tuesday. The result: all week long advisors, supporters, and employees fled his administration. It started Monday with chief executives of Intel Corp, Merck & Co Inc, and Under Armour Inc, who resigned from Trump’s American Manufacturing Council a day a day after Trump’s response to the rally, where a neo-Nazi murdered a woman and injured several others with his car. The next morning, Alliance for American Manufacturing president Scott Paul quit the manufacturing council just hours ahead of Trump’s polarizing Tuesday afternoon press conference. 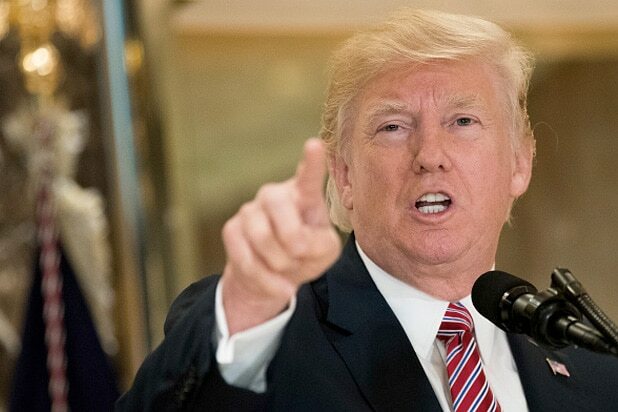 During his remarks, the president doubled down on claims that “both sides” were to blame for the violence, while insisting that “very fine people” were among the attendees of a white supremacist rally. Very soon after, the CEO of The AFL-CIO, a labor unions representing 12.5 million workers, announced his resignation from the council. Then it was Trump’s entire council of top corporate leaders, who disbanded on Wednesday (POTUS tried to make it look like it was his decision. It was not). On Thursday, the president announced he was dropping his plan for an infrastructure advisory council. That same day, 21st Century Fox CEO James Murdoch made headlines after a company-wide email he sent denouncing racism and Trump was released to the public.